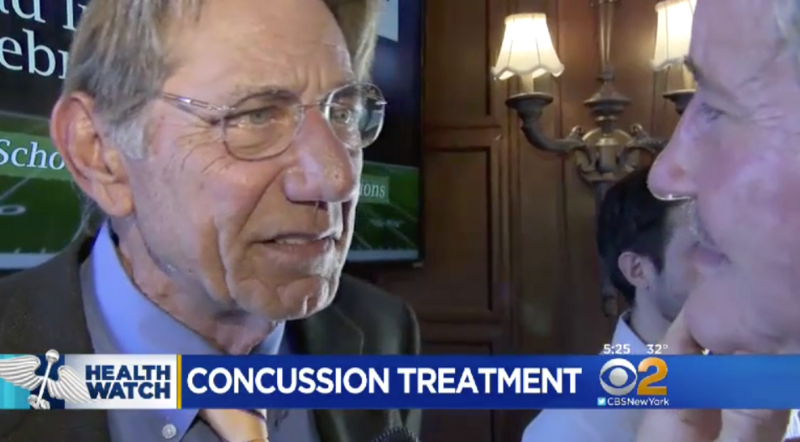 Legendary NY Jets quarterback Joe Namath spoke about how Hyperbaric Oxygen Therapy had helped him in recovering from a career marked by repeated head injury. He spoke at the 2017 Brain Injury Awareness Celebrity Sports Forum, hosted by the Head Injury Association, a Long Island based organization dedicated to meeting the needs of Traumatic Brain Injury survivors, especially school-aged children. Namath and Dr. Barry Miskin spoke on the importance of HBOT (Hyperbaric Oxygen Therapy) in the treatment of TBI (Traumatic Brain Injury) and described the research program being conducted at the Joe Namath Neurological Research Center. In this news coverage of the event, Dr. Miskin explains how HBOT delivers oxygen to poorly perfused areas of the brain, reactivating nerves and triggering growth in those damaged areas. Namath talks about how HBOT turned his life around.